‘First impression is the last impression’ is the adage that the Twitter Inc (NYSE:TWTR) management may have had in mind when they decided to completely revamp the social networking site’s home page that would greet users when they first log in. What makes this change a milestone in the platform’s lifecycle is the fact that not only did the process take months to formulate and apply but that it is also the first major overhaul in three years. So is it just the look which is new or is there more to it than what meets the eye? As per Twitter Inc (NYSE:TWTR), the intention underlying this change is to enable new users to follow people whom they are involved with more easily. Thus, instead of expecting to be greeted by an entire celebrity line-up, users can now expect a more personalized welcome wherein people on the list would be known and settings would be open to customization. Therefore, whether celebrities need to be included is something that depends on personal preference of the user. That said, the new system is not without its faults and one of the most glaring drawbacks is that it shows almost each of the acquaintances on the user’s friend list. So the onus is on the user to select or de-select contacts and likewise ascertain your involvement in social circles. Another change that has been introduced pertains to what pops up on the home-screen as soon as a user signs in. Owing to a lot of tweaking in this aspect, the home-screen now comprises of a set of images that appear in rotation accompanied by captions as also links of people who might have posted them. Changes of this magnitude are aimed towards rendering the website attractive to new users so that as a global social networking platform, it can augment its membership number to more impressive numbers. Twitter Inc (NYSE:TWTR) claims that its actual users are way beyond the 271 million registered members, the extra number being those who visit or read tweets but have not signed up so far. Hopefully, after this make-over, this segment will be sufficiently impressed to create an account. 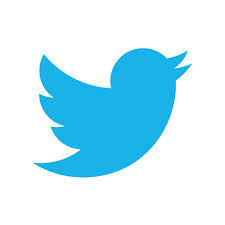 Twitter Inc (NYSE:TWTR) is planning to increase the number of registered members by this change.